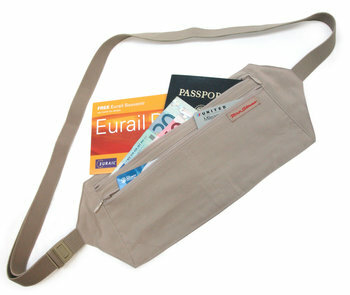 Silky Comfort: Made from comfortable spun silk, our sturdy, ultra-light, under-the-pants moneybelt is your best guarantee against pickpocket theft when worn just under the beltline. 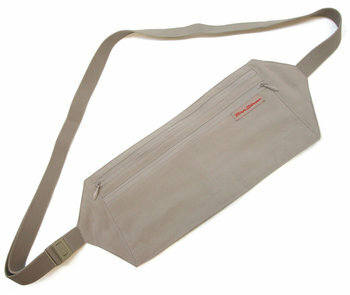 For Every Body: Its soft ¾-inch wide elastic strap measures 36 inches and stretches comfortably to 72 inches. It adjusts to your unique abdominal circumference. Its slim, strong buckle makes it easy to clip on and off. Your Choice: Our Civita Moneybelt shares the same dimensions and features in an equally comfortable, ultra-soft polyester blend. Or, go with our Silk Neck Wallet or Hidden Pocket.